salads | Gluten Free? Gimme Three! Now that I’m living in the semi-South, I feel like I should learn how to cook more Southern food. 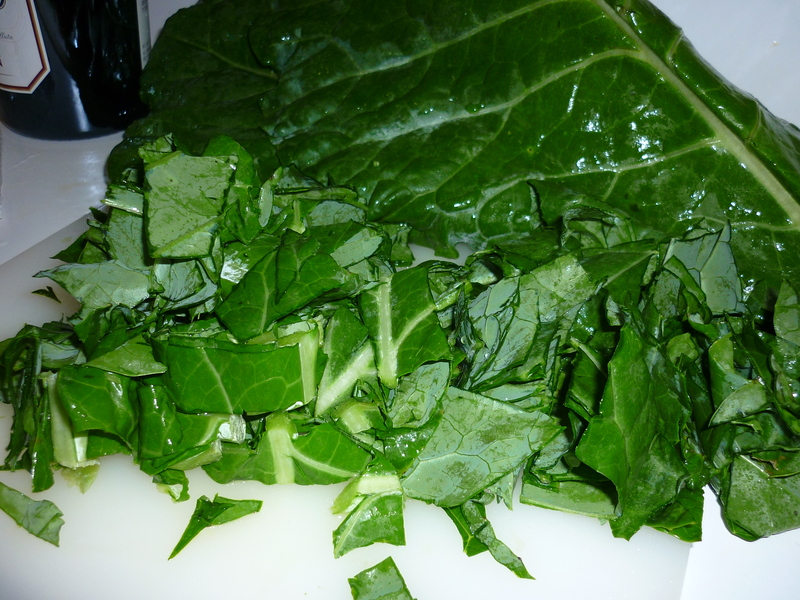 I always thought that collard greens were something that took a really long time to cook so they weren’t tough, so I hadn’t attempted to put them in anything besides soup. Then I saw this recipe for “5-minute collard greens” from Whole Foods. 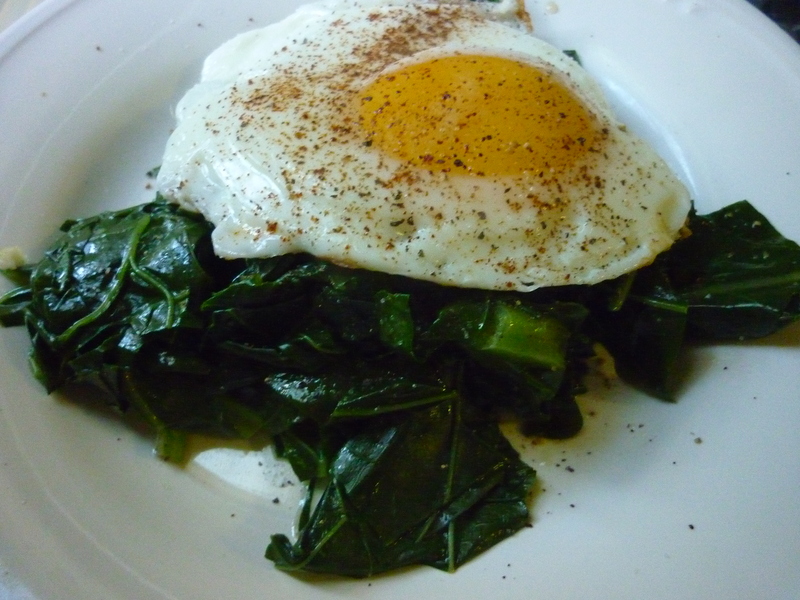 It’s meant to bring out the nutrients in the greens. So, while it’s not exactly a classic Southern recipe, at least now I have a way I like to eat them and is super quick to boot! Get steamer on the stove to start heating up. Put all other ingredients in a bowl. 4. Steam greens for 5 minutes. 5. 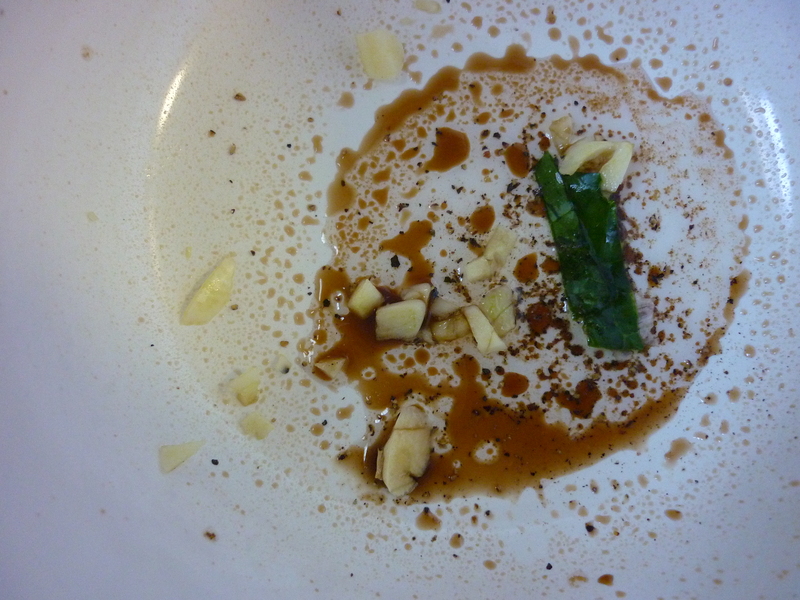 Transfer to bowl and toss with dressing. I served mine topped with an egg. So simple! Next time I’ll add in some olives or seeds, but this definitely will make it into my “quick meal” repertoire. Speaking of random greens with dressing – the cilantro dressing from Trader Joe’s is so good! 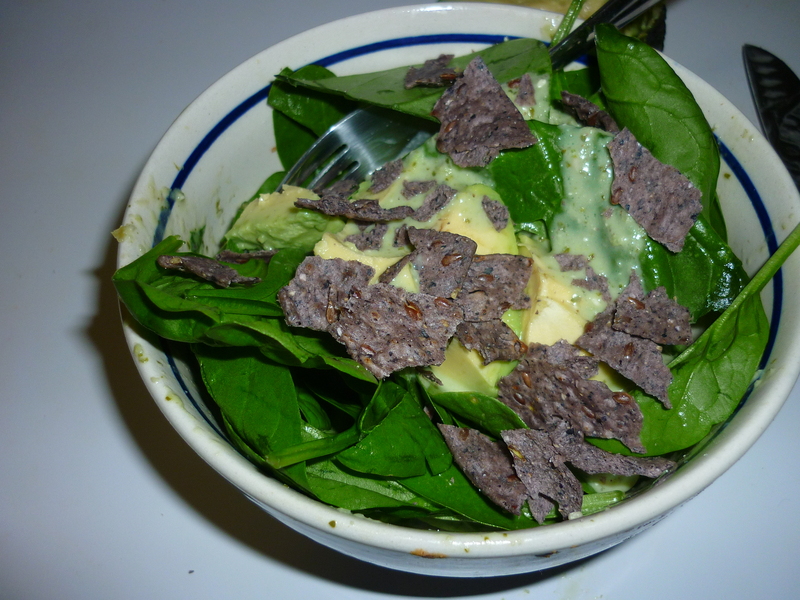 I topped some spinach with it and crumbled blue corn tortillas, and it was addicting. Now concluding the greenest post ever. 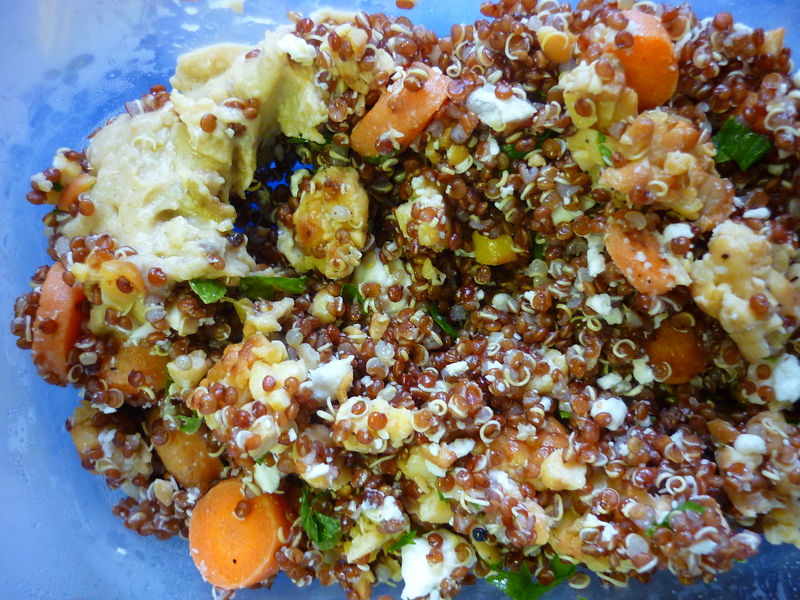 Last week I threw a package of red quinoa into my basket at the grocery store without really thinking too hard about it. Then I got to the checkout and found out that it was $7.00! 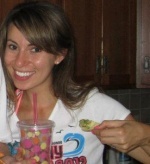 I got it anyway, since I figured it would last awhile and I could use it for my work lunches. And boy did I use it. I managed to put together the strangest combinations of ingredients that I found in my fridge. 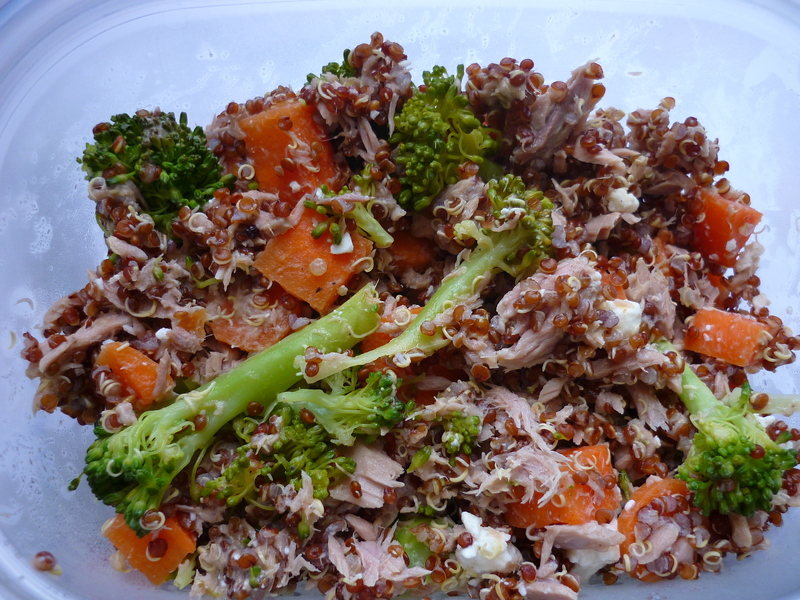 Quinoa with tuna salad, broccoli, carrots, and feta. 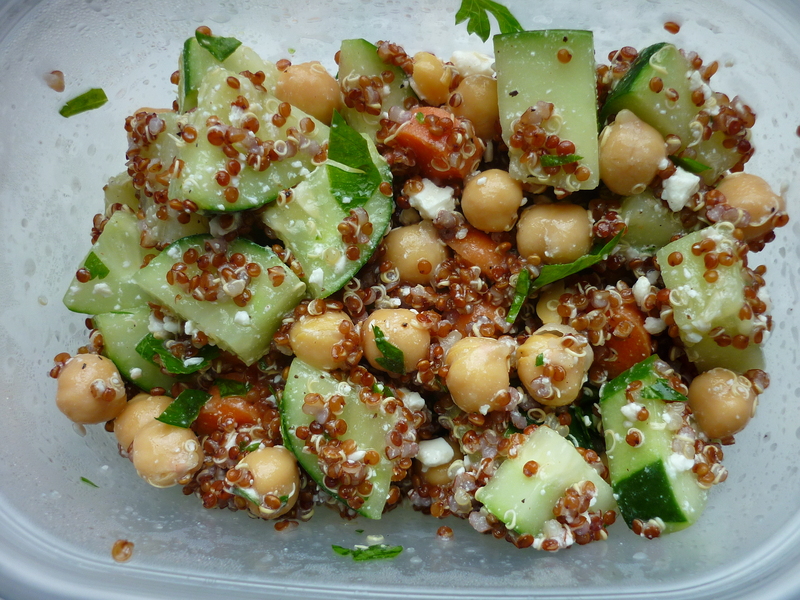 Quinoa with chick peas, cucumbers, carrots, feta, and parsley. I think I need to take a break from this quinoa thing. I love it dearly, but I think I’ve had enough. At least I got my $7.00 worth – I still have some of the package left! This stuff is good. I use it instead of dressing on my salads (great if you don’t want to read the ingredients on a million bottles of dressing to see if they’re gluten free, plus it has ZERO calories). It’s like a light soy sauce mixed with balsamic vinegar, but with a lot less sodium – plus it has 16 amino acids! You can get a free sample sent to you here!